WorldFest was an annual vegan event seeking to build community and create awareness of the vegan lifestyle. The event was described as "a solar-powered celebration of music, the environment, animals and humanity. We’re helping people learn what they can do for the Earth and its inhabitants." The event organizers and attendees were interested in the following topics: earth day, animal rights, animal welfare, environmental, vegan food, music and film, human rights, healthy living,social causes, and sustainable energy. 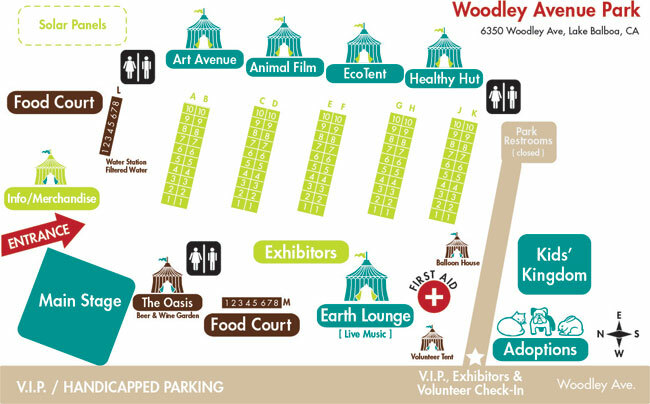 The WorldFest Earth Day Festival was held in the summer each year from morning till evening at a beautiful outdoor setting in California. Attendees enjoyed a magnificent day filled with entertainment, education and enlightenment. The combination of great music, empowering speakers, environmental, humanitarian and animal welfare non-profits, kid's activities and a delicious food court made for an earth-friendly experience that was sure to be inspiring and enjoyable for all. Main Stage - bigger-name bands and celebrity speakers. Earth Lounge - singer/songwriters, jazz, rock, funk, and world music groups and poets. Healthy Hut - speakers, discussions, and displays about health including yoga, meditation & cooking demos. Exhibitors - more than 100 companies and organizations showcasing their products or eco- and animal-friendly messages. Kids' Kingdom- storytelling, face painting, and children's entertainers and other activities! Oasis Beer and Wine Garden brought to you by the Lagunitas Brewing Company - Refresh yourself in the Oasis located near the Main Stage! Animal Adoptions - dogs, cats, rabbits and lots of animals looking for good homes!